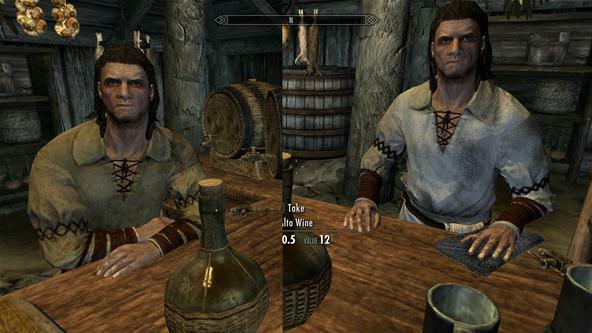 Skyrim – Even better with texture mods! I beat Skyrim! Well, at least I beat the main story line, and a lot of the side quests. Here’s the thing though. The main story was good, but it was the graphics and other subtle texture mods that kept me interested all the way through till the end. I’ve got 2 pretty beast-like computers at home; a monster gaming PC desktop and a wicked 15.5 inch gaming laptop (which shouldered most of my time in Skyrim). The beauty of having a great gaming rig is that you generally aren’t bound to the out-of-the-box graphics that many game ship with. Modders are constantly re-texturing and re-sampling in game entities to increase their realism. 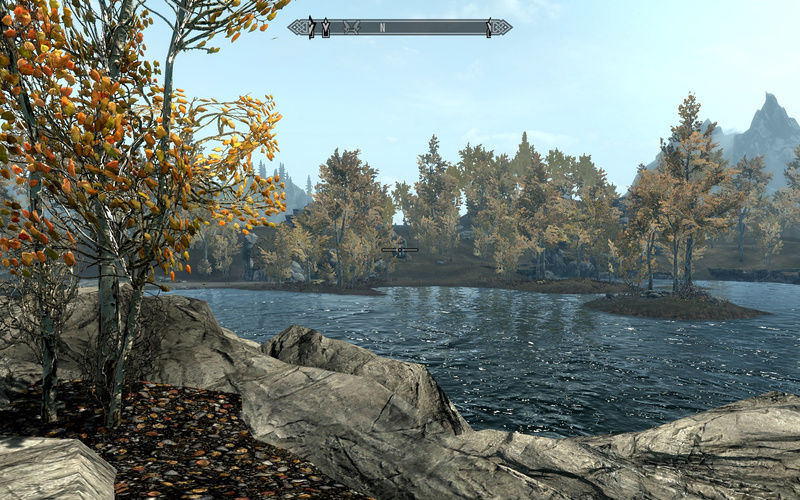 Much to my delight, the mod community was hard at work tweaking Skyrim to make it look amazing. Amazing is actually an understatement here, as some of the mods actually made many of my in-game elements look nearly photo-realistic! One of my favourite mods was one that made the water more realistic. Once applied, lakes and ponds flowed and ebbed as they would in real life, and paired with the authentic sounds of it rushing and splashing while I walked through it, I almost felt as if I was actually getting wet! The transparencies were fixed as well, making it easier to see fish and other things swimming by. The water looks SO realistic. Another awesome mod (or awesome bunch of mods) were those that made the character models look better. Faces were more realistic and detailed, eyes popped, skin had realistic flaws, lips looked fuller and more detailed…the experience of talking with an incredibly realistic looking person right before I ran them through with my sword made it feel almost morally wrong…almost. Clothing enhancements upscaled the resolution of all of the character clothing, making once bland and flat clothing look meticulously sown or embroidered, seperating different elements such as scarves or vests, and again, just adding an increased sense of realism to the whole experience. There was also a flora overhaul that increased the resolution of all the flowers and trees in the game. This made all of the scenic views in the game (and there are TONS of them) absolutely breathtaking. Running through a forest during sunset or in the bright afternoon sun was simply amazing, as the ground and trees/bushes/flowers/grass all looked simply life-like. 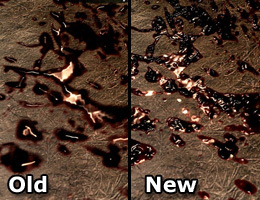 Everything down to the re-sampling of blood textures, making killing people look that much more brutal and realistic. Blood would now ‘stick’ to objects and look a lot more gruesome. Fires were also re-sampled, making the flames look exactly as they would in real life, and even the embers were overhauled to look more detailed, glowing and pulsating. Blood looks much more realistic as well. Overall, my Skyrim experience was great, but the level of detail that you can add through texture mods is just incredible, and I would encourage anyone with a gaming rig to try and do it, as you won’t be disappointed. All of the mods I got were from http://www.skyrimnexus.com. Let us know if you’ve tried any of these mods! I’m playing on an X-Box, so as far as I’m aware, I can’t do this. Skyrim is a beautiful looking (and playing) game to begin with – but the examples you shared here make my head swim – it’s absolutely AMAZING what the texture mods do!